How do you begin to develop leaders as sophomores and how do you continue to build leaders as seniors? What is different? Great question and an important one for coaches to keep in mind. Just as physical and mental skills take time and intentionality to develop, so do leadership skills. With many schools, we actually start our leadership development efforts in their freshmen year. We focus on teaching freshmen how to be responsible for themselves and fully accountable to their teammates, unfortunately a lost art in today’s world for many young athletes. These essential skills form the foundation of effective leadership. 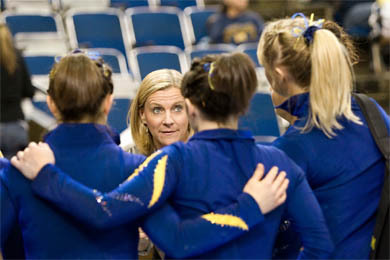 We also help them understand what it means to make a complete commitment to their training, team role, and team. In essence, it is never too early to start your leadership training when it comes to teaching self leadership skills. With sophomores, we typically identify those athletes who during their freshman year did a solid job when it comes to responsibility, accountability, and commitment and focus on taking their leadership to the next level. We also identify the more talented young athletes who the rest of the team already looks to because of their strong physical ability and provide them with systematic leadership training. When your best athlete is also one of your best leaders, it has a big positive impact on your culture. So we intentionally target the more talented sophomore athletes in hopes we can develop them into reliable leaders by they time they become juniors and seniors – and you should too. We use our Team Captain’s Leadership Manual as the basis of our training with this group. For juniors and seniors who consistently demonstrate they are ready and able to lead themselves and others, we focus more on skills to lead the entire team as well as effectively partnering with the coaches to co-lead the team. With these veteran leaders we use our Team Captain’s Culture Manual to help them understand how important they are in establishing, embodying, endorsing, and enforcing the standards and culture of the team. 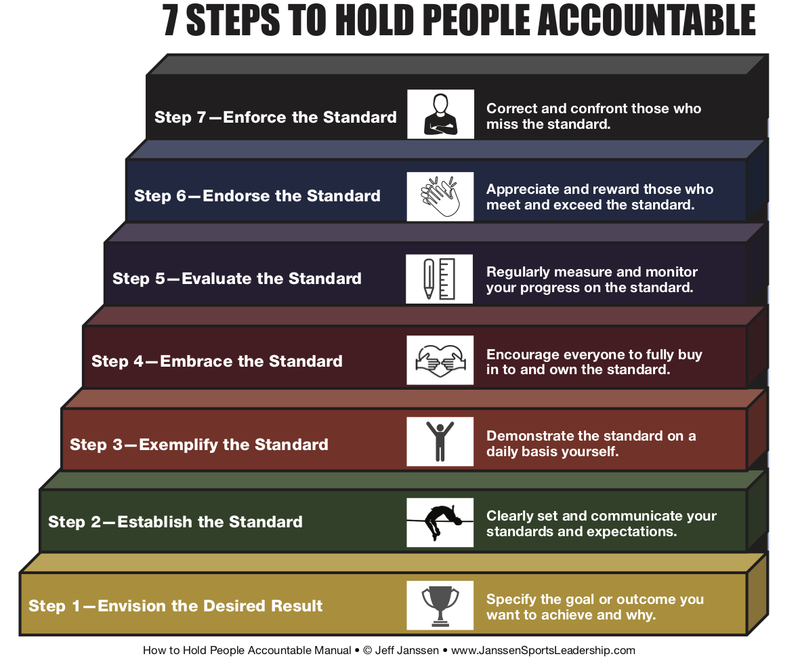 Finally, since so many athletes struggle to hold their teammates accountable, we also teach senior team leaders and captains an effective seven step process to effectively hold their teammates accountable found in our How to Hold People Accountable Manual. Thus, the approach we take to leadership training is highly specific and developmental and depends on their readiness and ability to demonstrate increasingly more complex leadership skills. Just like pro sports teams have their minor leagues to develop their players, so too should you have a developmental system to train and develop your leaders. We “draft” athletes into our leadership programs who show leadership potential, provide them with ongoing training, practice, and instruction, and only move up those into the big league and captain roles who are ready and have consistently learned and demonstrated the complex and critical leadership skills. Check out this post for more info on our special segmented approach to leadership development training and how you can best apply it to your team. 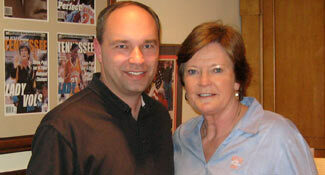 How do you get seniors who have historically not been leaders on the team to become leaders? Ideally you proactively set up a leadership development program and pipeline like the one we just outlined in the previous question so you prepare your seniors to be effective leaders and can minimize this problem for your team. Hopefully your seniors feel some sense of urgency and responsibility heading into their senior year and finally step up and lead as they realize their window of opportunity to do something special is quickly closing. I often ask seniors, "How do you want to be remembered?" or "What do you want your legacy to be?" These critical questions encourage them to seriously consider their important role in setting the tone and leading the team. However, if your seniors still can’t lead themselves effectively or are just weak or ineffective leaders by the time they are seniors, you're likely going to need to look elsewhere to your junior, sophomore, or if necessary, freshmen class for leadership as it is likely too late at that time. Consider this: just because they are a senior doesn’t mean they have to be a leader or team captain – they have to earn your respect and their teammates' trust to be a credible leader. It doesn’t magically happen if they haven't earned it - and giving them the title of “Captain” if they haven’t deserved it is one of the worst things you can do for them and your team. If your seniors are not credible or effective leaders, you must look to your other classes to provide the leadership you need (or take more of a leadership role as a coach if your athletes can't effectively do it). Look for the athletes who are the most committed to winning, ideally have a solid level of talent, and have street credibility with their teammates. You will need to build your leadership around them and manage the expectations of the seniors who are ineffective or poor leaders. Keep in mind that leadership is a sacred privilege you must earn and maintain, not a position we hand you because you are the oldest. How do you get young players (9th graders) to buy into your team philosophy of student-athlete and model citizen? 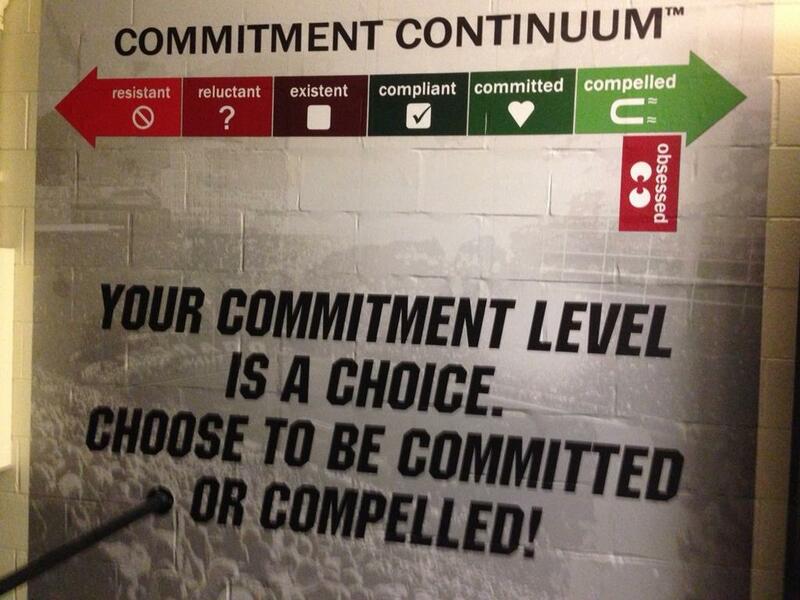 Getting strong and consistent buy in is typically a tough challenge for coaches and athletic directors and is a big reason why I created the Commitment Continuum as it visually depicts and describes the various levels of buy in and commitment. Getting people to buy in and commit to things always involves showing and convincing them how and why they (and the team) will benefit from it. You have to show and tell them what is in it for them. If you can show them how they will likely and eventually maximize their chances of getting their needs met of more playing time, respect, positive attention, etc., they will be more likely to do it. Providing concrete examples of those who have bought in and the benefits they eventually got from it is a huge help as well. We use the inspiring story of J.J. Watt in our Athlete’s Responsibility Manual about how he took 100% responsibility for himself as a walk on trying to play at Wisconsin to eventually become one of the best and most respected players in the NFL. We contrast that story with Johnny Manziel and how he squandered a great opportunity because he struggled mightily to be responsible for himself and cost himself millions of dollars. Getting people to believe in and buy in to your team’s culture and embrace your team’s Standards is certainly critical. Without their buy in, your own athletes unfortunately become your team’s internal opponents because they continually oppose what you are trying to do and accomplish with your team. Athletes who resist your Standard will complain about it, cheat the Standard, look to water down the Standard, and in some cases, actively sabotage the Standard and team. Their active resistance and passive-aggressive reluctance to abide by your team’s Standards becomes at least a distraction if not a tremendous drag on your own team. It is like trying to climb Mount Everest by dragging them along or them stubbornly pulling the rope in the opposite direction. This resistance pulls apart your team, saps your strength and resolve, and soon takes a tremendous toll on everyone. To get to your team’s difficult Desired Result, you’ve got to have everyone eagerly moving in the right direction, pulling their own weight, and enthusiastically contributing to your team. Getting people to willingly and wholeheartedly embrace your Standards starts as early as possible, ideally before people are even on your roster. If a person is not going to be fully committed to your Standards, the best time to know this is BEFORE you select them for your team, not after. Be sure anyone who is thinking about joining or trying out for your team is crystal clear about your team’s goals, culture, Standards, and expectations. Make sure they understand the culture and expectations of your program. They should know what they are signing up for and getting themselves into. If they don’t, it is your job to let them know what kind of training, conditioning, competition, social life, and academic Standards are established, embraced, evaluated, endorsed, and enforced in your program. Your Standards and team culture should come as no surprise to them. If the person loves these high Standards and is excited about living up to them, then odds are great they will be a tremendous fit and asset for your program. If the person is concerned about these Standards or resists them, then they will likely be a poor fit for your program’s culture. Exploring and evaluating this on the front end, before the person is on your team, helps everyone make the decision that will be best for them. Finally, you can have your staff and team vote for and acknowledge the Committed and Compelled Athletes of the Week as a way to call attention to and reward the athletes who best demonstrate the buy and commitment you need for your program. What if your hardest workers at training are not the players who give your team the best chance to win a game? Who starts? More talented or harder working? In most cases, unless you are a youth league rec coach, you can’t just start and play the hardest workers on your team if they clearly don’t have the talent to compete. Your team's lack of talented people in the lineup will quickly be exposed and you probably won’t have your job for very long. At the same time, you also can’t build a long-term winning team and Championship Culture if you disregard your team’s Standards and your athletes' character and just play the most talented athletes, regardless of what kind of teammate they might be, how uncoachable they are, or the bad attitude they might have. So it is a combination of things (physical talent + demonstrating your program's values and standards) that should determine your starters. You start and play the most talented and team-oriented people as long as they are at least consistently compliant with your team’s Vision, Values, and Standards. In coaching some students with 4.0 GPA's, they are used to getting everything correct. They at times get more easily frustrated with mistakes, and this intrudes even more on their post-error performance. Perfectionism is a double-edge sword. The Perfectionist’s high standards drive them to work hard and focus intently on getting the job done - which coaches love. However, they often hit a ceiling because their perfectionism can only take them so far before it starts to be an actual barrier and detriment to reaching their full potential. In over 25 years of consulting I've learned that perfectionism is rarely something you cure. Instead, you try to get the Perfectionist to set more reasonable standards, not be so mercilessly tough on themselves, and get less upset and derailed by mistakes. You rarely cure them, you just try to get them to frame situations a bit differently, and in doing so, be a little less hard on themselves. I often try to get the Perfectionist to focus more on achieving Excellence rather than Perfection. Excellence takes all the benefits of the high standards and tries to eliminate the major detriments of perfectionism. I share these definitions with the Perfectionistic athlete below and we talk through how they can differentiate them and apply them to their situation. We then have a ton of follow up conversations to see how well they are adopting and applying this new Excellence mindset vs. the Perfectionist one. Unrealistic - it is unrealistic to consistently or sometimes ever attain perfection in almost every sport. A personal best is much more realistic. Understand that you could achieve a personal best and still not achieve perfection. Focus on Avoiding Failure – When you try to be perfect, you focus more on not failing or not making a mistake and end up fearing failure. This mentality causes excessive worry and unwanted muscle tension. Instead of focusing on the process of what you should do, you become distracted by what you should not do. Conservative/Tentative - In trying to be perfect, you tend to play not to make a mistake rather than taking smart risks, which often are a big part of sports and success. Mistakes seen as Fatal - mistakes, errors, or problems often debilitate and devastate you because you equate them with failing to achieve the standard. Adversity is often not dealt with effectively. External Definition - the standard of perfection is often dependent on outside, uncontrollable factors you can do nothing about. You can't expect yourself to control things you can't control. Realistic - excellence is a realistic standard to set and pursue since it is based on past individual standards. Focus on Success - striving for excellence promotes focusing on the things you can control to be successful. You should concentrate on process goals that make success more likely to be achieved. Play to succeed rather than playing to avoid failure. Encourages Risk-taking - excellence encourages you to take calculated risks because you are not bound by avoiding failure at all costs. It is often these risks that allow you to tap previously unfound potential and allows you to develop confidence in yourself. Learn from Mistakes - you can profit from mistakes by learning from them and making the necessary adjustments. Mistakes are taken in stride because they are viewed as a natural, helpful, and instructive part of the process. In this way failure is transformed from debilitating to growth promoting. Adversity can be and is overcome. Internal Definition - you control the personal standard you set based on past experience. You could lose and still achieve excellence. Also, you could win and not achieve excellence. Excellence then transcends winning or losing. Bottom Line: Encourage them to "Pursue Excellence, Not Perfection." Thanks again coaches for submitting your questions and I hope this provides all coaches with some helpful suggestions and solutions on typical situations that plague and perplex most programs. Be sure to check out our future blog posts where we will have time to address even more of your important questions. THANKS!